As Good a Start As Any! 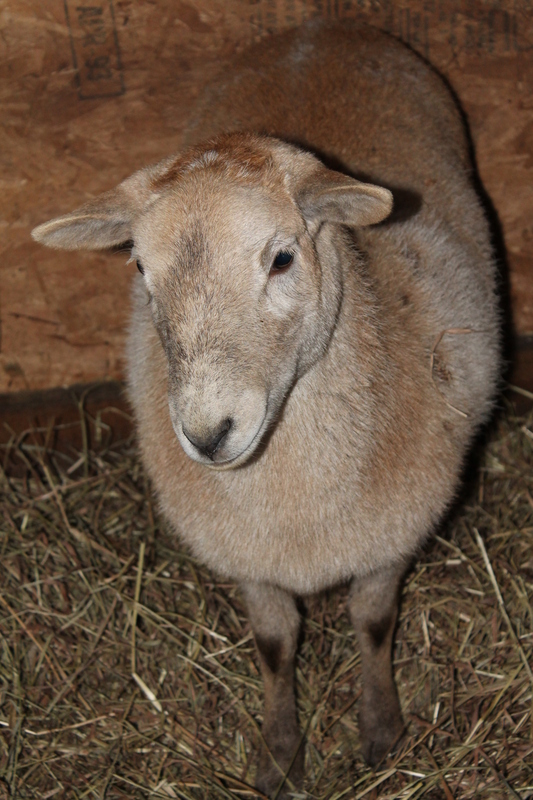 Recently, we added a new ovine addition to our farm – Katahdin hair sheep. This breed of sheep seems to fit in pretty well with our Jacobs, as they both are very hardy and low maintenance breeds (and they are both often mistaken for goats!). The idea behind this new project is to create a small flock of “out of season” lambing hair ewes (to lamb in June, then January, etc) to produce market lambs year round. 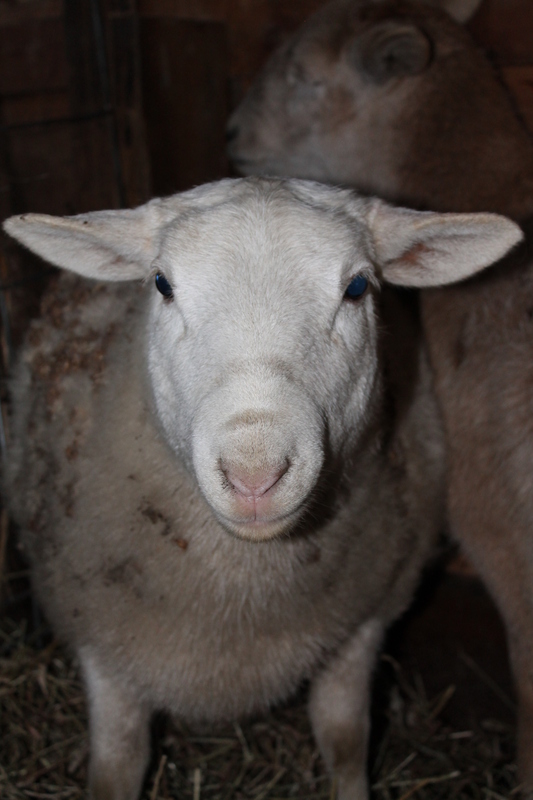 They will be bred to Jacob rams, produce meat lambs and won’t need to be sheared (the main reason for my choosing to get these, instead of just keeping more Jacob ewes – in addition to the fact that they are slightly meatier). and the very burdock-y, Kelly. 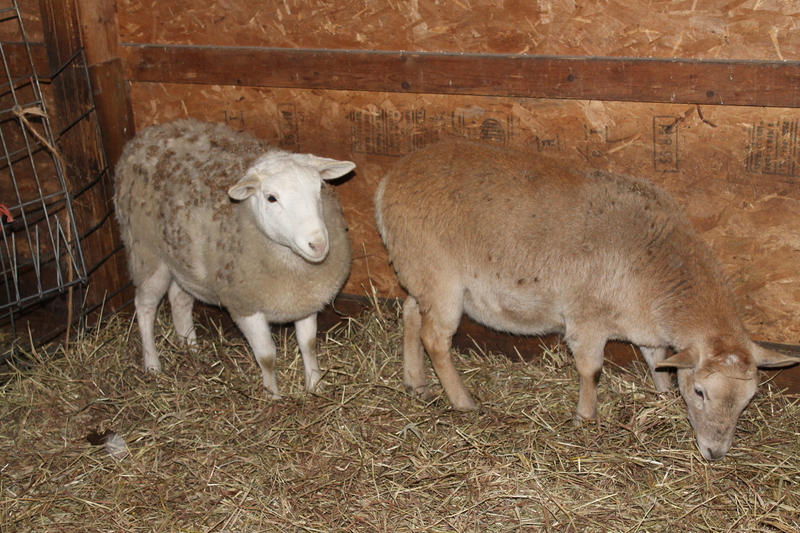 They are half sister Katahdin ewe lambs from a commercial (unregistered) flock in New York. So far, they are proving to be an interesting addition to the farm – they are unlike “plain white sheep” as well as Jacobs in temperament. Gloria is very curious and already enjoys ear scratches – Kelly is still a little standoff-ish. In addition to their odd behavior, their hair coats are quite a change from my Jacob fleeces – unlike any animal I’ve ever felt, so dense! Whether this project works as well in my head as it does in real life is still undecided, but I do look forward to comparing them to my Jacobs (as well as having lambs more than once a year!). More pictures of these new girls, and plenty of other Spot Hollow critters can be seen at our facebook (link at the top right). Enter your email address to follow Spot Hollow Farm and receive notifications of new posts by email.